I was just a kid from a little village in Alicante. So when I found out that a club like FC Barcelona wanted to sign me, the first thing I felt was excitement. Once I was actually there, I started to realise the size of the opportunity I had been handed. It is every kid’s dream to become a professional footballer, isn’t it? As you move up through the youth system, your determination grows to make the most of that chance. You fight to keep that dream alive. Coming up through the ranks at Barca, I had been able to watch the great attacking players in the first team at that time. Hristo Stoichkov, Luis Figo, Ronaldo, Romario (below). I dreamt of being like them. But I also remember seeing players like Ryan Giggs and Paul Scholes break into the first team at Manchester United, and play against Barcelona in the Champions League. They gave me the belief to think that I could make it too – to play alongside them on the top floor of the game. The head coach at the time was Bobby Robson, and he had Jose Mourinho there with him. I did pre-season with the first team, and I thought I would make the first-team squad for the season. It was everything I had been fighting for, for all those years – but I ended up playing for Barca B that season, and by the following summer it was clear I’d have to go out on loan if I wanted game time. That was a tough time for me. I’d been at the club for six years, and I was close to making my dream come true. So close, I could almost touch it. Instead, the club arranged for me to go on loan to Toledo in the second division. They inserted a clause in the contract that meant I had to play a certain amount of minutes. If I didn’t, Toledo would have to pay Barça more – so the club were able to ensure that I could get the game time I needed in the final stages of my football education as a young player. I learnt so much in my time at Barça. As you come up through the youth system, there’s one common theme in all the teams and with all the different coaches. It’s the most basic part of football: learning to control and pass the ball correctly. But perhaps one of the most important lessons was taught to me by one of the greats, Johan Cruyff. It wasn’t a technical or a tactical concept. It was about the human side of the game. Cruyff would come to the afternoon training sessions with the Under-15s, the Under-16s, all the different age groups, and he’d join in the rondos with us. He’d come to the Masia and he would know your name, say hi, ask you how your studies were going. It was amazing for us that the first-team head coach, a guy who was a legend both as a player and coach, knew all our names and was genuinely interested in us. That was one of the first things I started doing when I became Valencia’s general manager. I started getting to know every single player in all the youth teams by talking to them whenever I saw them at the training ground, and I watched them all train and play as often as possible. I honestly believe it was that sort of thing from Cruyff which made Barça so successful in that period. It’s something I will always do, wherever I’m working. 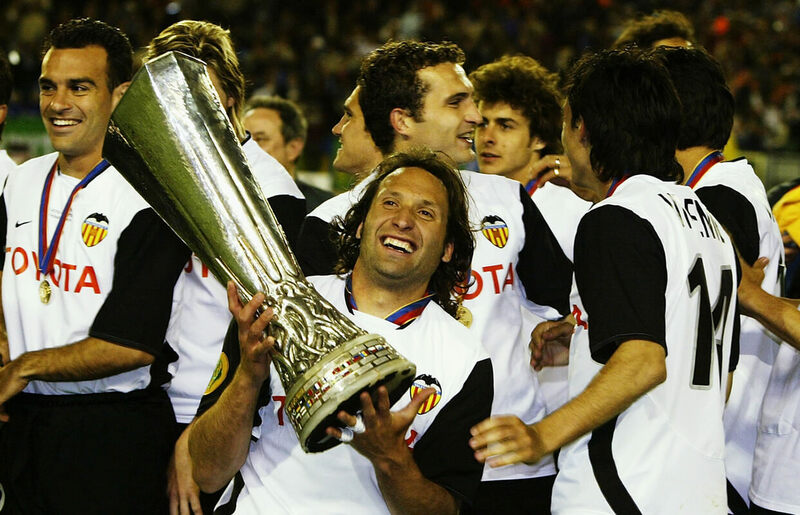 When I got the chance to go to Valencia in 2001, they were coming off the back of two Champions League final defeats in a row. I was coming to replace Gaizka Mendieta, who had left to join Lazio, so I knew there would be a lot of pressure on me. But when a big club like Valencia want you, you just can’t say no. We had a lot of experience in our team, in terms of the players who had been in those Champions League finals. Sometimes people only see the negative side of losing a final, but you learn a lot from those moments; you begin to understand why you lost. So we had a group of players who had learnt a lot about themselves through those experiences. And the club added some youth into the mix, players between 22 and 26 years of age who had stood out at smaller clubs. They gave the group added energy and confidence. And Rafa Benitez had arrived at the perfect moment. He was ready to go to the next level in his career. I remember talking to him for the first time. He told me that both he and the sporting director had wanted me. That gave me the confidence to feel like I belonged at a big club like Valencia. I had a good relationship with him, and I still do. We started off a bit slowly that season, but you could already see what was brewing every day at training. We trained at a really high level of intensity – the same level we played at on match day – and you could see the team growing day by day. 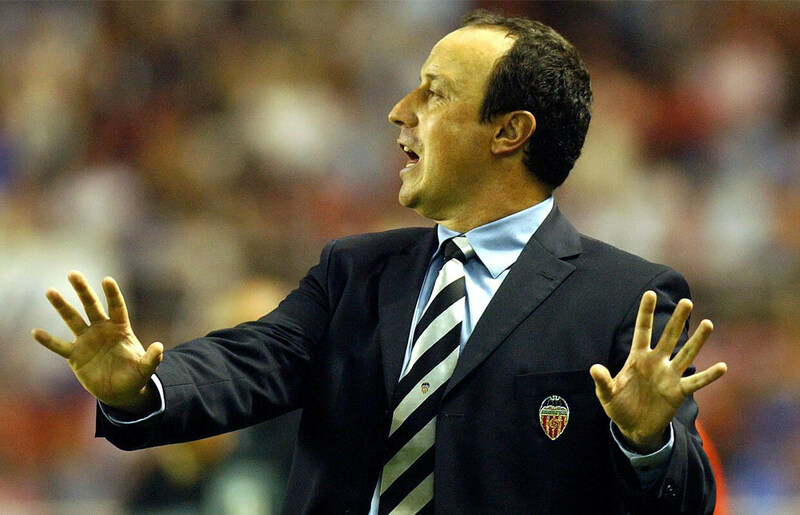 Benitez is a coach who likes everything to be well organised, and he instilled that in the way we played and trained. We were solid defensively and we were really good on the counter, but he also got us playing good football and managing the different phases of the game very well. If I had to highlight one thing Benitez (below) did for us as a team, it would be the way he helped us to understand football better. We started to understand how and why situations came about on the pitch, and that really helped us to grow both as individuals and as a team. Perhaps the key moment that season was away at Espanyol. We were 2-0 down at half-time and the manager was under real pressure because we were on a poor run of form. Fortunately, I managed to get a couple of goals and we won 3-2. After that comeback, we went on to win the La Liga title – it was the first time Valencia had been champions for more than 30 years. The next season, we weren’t able to replicate that success. We had a decent run in Europe but we didn’t do as well in the league and we failed to qualify for the Champions League. It was a difficult situation, because we had created a lot of expectations and hadn’t lived up to the high standards we had set in the previous season. Benitez had a big part to play in us recovering from that disappointment, but as a group we had a very clear comparison between how we’d felt after the title-winning season and how we felt at the end of the next one. We preferred the way we felt after winning. As we started getting towards the end of the 2003/04 season, we could sense that we had a real chance to do something special. We were in the semi finals of the UEFA Cup and we were in the title race – and, importantly, we were a team that knew how to win. Winning the title two seasons earlier had been harder. This time, we had the experience, confidence and winning mentality you need in pressure situations. The sense that we could do something special turned into a reality – we won both La Liga and the UEFA Cup (below). I got my coaching badges when I was 30 years old, but I didn’t hang up my boots until I was 34. So for the last four years of my career, whenever I was on the bench, I would watch the game as a coach. I’d sit there and analyse what I was seeing, asking myself what I would do in certain situations and developing my own ideas on the game. 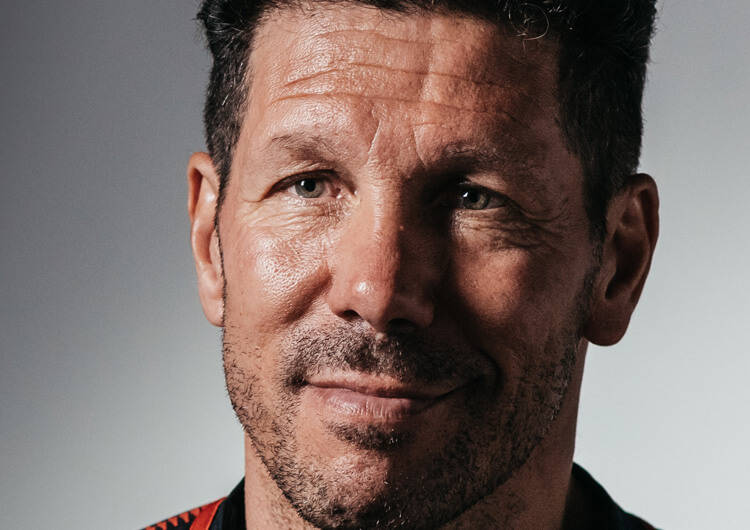 Now I am 41 years old, and I believe that all of the experience I’ve amassed, from all those different perspectives, has given me the ability to identify the different problems at a club and find the right solutions. I’m a strong believer that, as professionals, our greatest challenges always come about when things aren’t going well at a club – when a negative situation needs to be completely turned around. That’s the challenge I’ve always enjoyed, whether as a player, an academy director, a sporting director, or most recently as a coach. 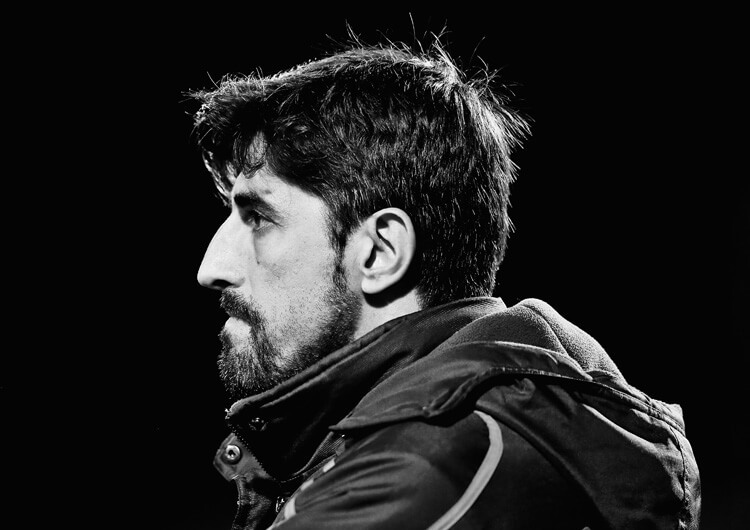 I recently took the job as head coach of UD Ibiza in the Spanish lower leagues. The club needed my help to try to turn things around at the end of the season, and achieve their target of winning promotion via the playoffs. Sometimes in life an opportunity like that crops up, and you just take it. I was really excited about the challenge – and we almost did it, but we lost the final on penalties. I think we did a good job, and gave the club a good base to continue working and growing. But it’s important for a professional who is used to living on the top floor to go down and experience life on the ground floor. Football is a building with a lot of floors, and that project taught me a lot about what a player at that level goes through – living on a smaller salary, fighting to try to move up to a higher level. When you go down to those levels, you can learn a lot of different things that you can take back upstairs with you. Things that make you a better professional and a better person. Now, I am in a new role as football director at one of my old clubs, Espanyol. It is different to being a player, or even a coach, but one thing never changes: you have to live, breathe and feel this profession. I hope to participate in a project with big objectives, where my work is needed, because that’s my biggest motivation in life. In football, as in life, you have to give it everything you’ve got. I want to keep on giving back to football, because I owe it to the game I love.